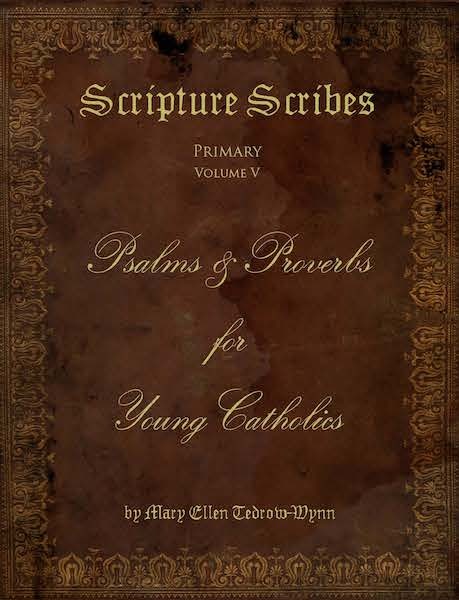 Psalms & Proverbs for Young Catholics is written with a mixture of Psalms and Proverbs taken from the Douay-Rheims version. You will delight in having your child read, trace, and copy the Scriptures. There are enough lessons for an entire school year. This title in the Scripture Scribes series is written for the primary grades, suggested for grades 2 and 3 but could easily be used for a 4th and 5th grades (or a well writting 1st grader). Cursive, medium size font.